This scenic flight to the Alps is particularly suitable as a flight christening. An ideal gift to enjoy or take off yourself. Take the opportunity and get to know Central Switzerland from a different view. 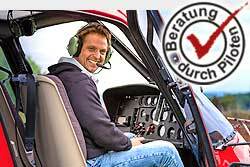 The route can be arranged directly with the pilot on site. Incl. approx. 20 min. glacier landing Planura / Hüfifirn plus Fr. 250.-. Important - you are landing on high alpine terrain. Accordingly warm clothing and footwear is essential. Please note the weight limits under Information.